Maybe it’s the Downton Abbey-esque designs, or maybe it’s those delicious canapés that make it to your room every night, but for some reason, the Chesterfield Mayfair is a hotel you’ll find incredibly hard to leave. Built for the Earl of Chesterfield, the hotel retains much of its original atmosphere - Chandeliers in the lobby, plush leather chairs, antiques, and period oil paintings in the rooms - perfect for those who want to play at being Lord for a weekend. Service, is as expected, fit for royalty and rooms inject a bit of playfulness with unique designs, and themes which run from English countryside to African savanna. A top - notch location at the heart of Mayfair and between Berkeley Square and Curzon street puts all manner of shopping and landmarks within reach and the hotel’s notorious homey atmosphere is created by little touches, like owner Bea Tollman’s home cuisine being served at the Butler’s restaurant, and treats delivered at turndown. Trust us, nobody stays here only once. The Terrace Bar, cosy and intimate, is the perfect place to unwind with a late night drink. Butlers Restaurant offers the finest of English Cuisine. Traditional values of service and courtesy meet 21st-century comforts and technology. Fabulous, elegant and charming hotel. Old world style. Excellent location. Top quality breakfast. Lovely, small hotel in a perfect area to walk to sites. Restaurant staff excellent as well as hotel staff. An old hotel but very characterful. Perfect location in Mayfair. Characterful and very comfortable bar. Breakfast would have to be one of the best ever, if not the best. Would definitely return. Our stay was a wonderful experience! The staff in the Butler's Restaurant was exceptional and the staff that kept our room was exceptional as well. The hotel was very nice and well kept. Staff efficient, neat and attentive. I would especially like to pay tribute to the professionalism of the concierge and the reception staff. Thanks to them, I was able to secure my spot at the theatre and find my lost I.D card. 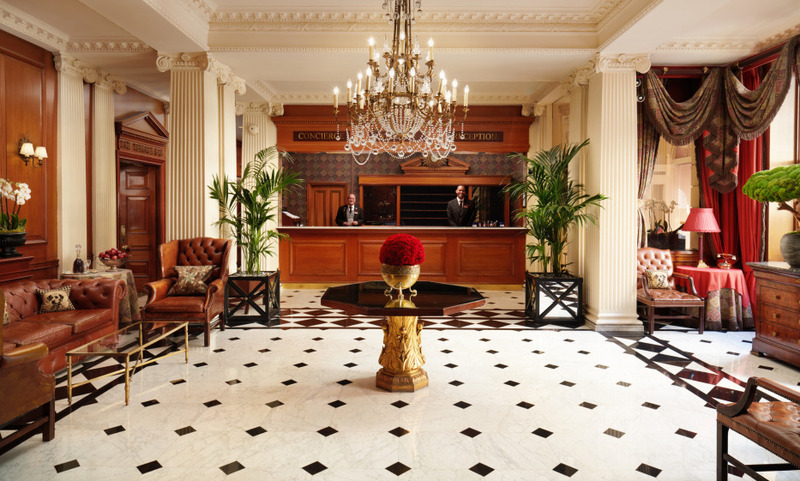 We enjoy staying at the Chesterfield when in London as it feels like a special experience every time, rather than just another bland corporate hotel. Based on the quality of the service, accommodation and food, this is a very good value hotel. We loved the hotel and the staff was very efficient. The breakfast was superb, the rooms are beautiful. All of the staff were very polite and we really felt at home. We would love to come back. Super! We have got a new favorite hotel in London! Outstanding service on all levels. Beautiful hotel in a beautiful area. We would return and recommend to our friends and relatives. I think you have a gem of a hotel, and will recommend it to my friends and colleagues in Australia. My wife and I enjoyed our second stay very much - Cheers - John Funder PS The only suboptimal thing was that the bedroom was a foot too short in both , so that navigating around the bed was difficult. A queen size bed would probably be OK. Excellent Hotel with very good service. Was delighted to receive a Birthday card with personal messages from the staff when we had afternoon tea on the afternoon after check out. Would definitely consider visiting again and recommending.